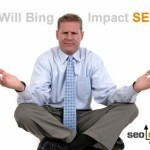 In a world where posturing doesn’t pay the bills and results define the scope of SEO competence. What are some of the genuine SEO factors that separate amateur SEO’s from professional SEO companies; meaning those capable of producing stellar results regardless of the competition, market or keywords? 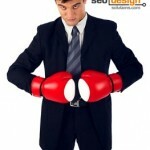 What Separates Professional SEO's from Fly-by-Night Amateurs? The ability to define areas where others see obstacles and formulate a scientific plan. The ability and know-how to implement an array of optimization tactics simultaneously to develop page level and domain authority. The ability to produce superior value (regardless of the price). The ability to differentiate their websites from their competition through tangible and quantitative competitive advantages. What are some of the tools a professional SEO would use? 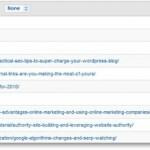 If you are still worried about meta-tags as a revolutionary SEO technique, then your focus is askew. With various dimensions to any SEO campaign, you need tangible market intelligence to create a blueprint that you can use to produce sustainable yet progressive benchmarks and goals. Understanding that post-click marketing is equally as important as SEO as well as design, usability and conversion optimization are equally as important for performance. All of these components are holistic and require consideration before any aspect of the campaign is implemented. The more thoroughly your tactics overlap, the less friction there is to account for diffusion of the ultimate objective (to acquire and retain your visitor’s attention). What happens next is all a condition of two things 1) what their intention was for visiting in the first place and 2) if you can facilitate that emotion with a solution that satiates their original intent. SEO is not about products and services as much as it is about finding the right type of consumers to cater your marketing efforts towards. Also, it’s not always about more traffic, it is about maximizing the conversion of the traffic you receive. Amateurs focus on keywords, professionals focus on conversions. Actionable intelligence allows you to be more efficient, and since time equals money or time to market to acquire a larger percentage of market-share, then efficiency is the ultimate equalizer for business. Competitive intelligence in this regard implies understanding the motivating factors that compel consumers to purchase and then shifting your business model, landing pages, keywords and modifiers and imagery to speak directly to that intent instead of being nebulous general or “just another website” which they can pass up without regard. Just as a penny saved is a penny earned, and 90% of the waking day spent in survival mode for most individuals struggling to stay afloat due to economic duress, things that may have worked when disposable income was more abundant no longer reach eager eyes to engage your offer. Use competitive intelligence to determine the undercurrents in a market and more importantly, how is your message going to provide more value to the consumers your keywords target. Facets such as stemming your campaign into new keywords, more structured value propositions, narrow casting vs. broad casting, niche marketing or focusing on more specialized products or services? Refinements based on this premise alone can redefine your entire online monetary model; yet, it also must “FIT” within the other critical metrics. SEO ends and conversion optimization begins with the first click or instance when a visitor engages the snippet of the meta-description in a search engine. Just as the search engine snippet (the description in search engines for that page) is the first attempt to market your product or service. Something this critical (and how you use it for SEO alone) can differentiate your offer and can be the first thing a visitor engages or the last thing that prospects ever sees, so make it count. Each action should be structured to lead the visitor through a series of mini-conversions through building rapport with benefits. Depending on why they are there, either to fix something or remedy a real problem or to consider something they might not need by want, determines the tone used to convey significance through either urgency or by proposing value. Regardless of what you are selling, the infrastructure of the website should be optimal, which means integrated CRM (customer relationship management) features within a CMS (content management system). The ability to make site wide changes by amending one file, the ability to segment each page from the site wide changes, modify headers, pull data from various sources, have unique titles, meta descriptions, naming conventions are mandatory for SEO. Programming best practices into a CMS can create a scalable site capable of devouring markets if the site architecture is built on a premise of pliability and relevance. 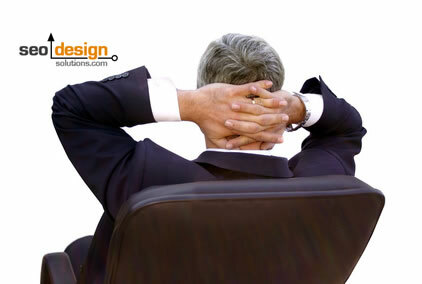 Aside from content, the content management system is a critical component of SEO for producing rankings. Understanding that search engines reward impeccable content as well as use a collective array of term frequency, link assessment and volume of data on a given topic to score the page and websites correlation to specific and broad queries. If you competitors have 1000 pages and their main keyword is present in 750 of those pages, then the amount of concentrated optimization to each page requires less fine tuning (due to the pool of topical relevance those occurrences produce). Content creation based on filling the gap between your current position and those web pages that occupy the top 10 positions means the more relevant content you have, the higher the probability of you leveraging that content in unison through internal linking of selecting a champion page or folder to produce buoyant rankings. Another well known fact is, rankings are by the page in search engines, and in order to win the ranking battle, you need to have a significant array of deep links specifically to each page that you want to contribute to the global site profile. To understand the threshold, look for pages, not just a domain ranking in the top 10 results, ten see how many deep links they built to identify that page as an island of relevance. An example would be www.website.com/web-design.html if that page had a top ranking for the word web design, then see what is supporting it both within the website as well as how many deep links it has to “rank on its own independence and authority” vs. a top level homepage / ranking. Depending on the strength of the inbound links and the site architecture and internal links determines just what the tipping point is to catapult a page past competitors to reach the top 10. 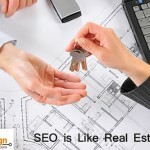 Professionals know that changes take time and in order to surpass competitors, you need search engine trust. Trust is not always about content saturation, link volume or time, it is a unique fusion of all three. The longer you wait to get started/optimizing keywords and their respective landing pages, the stronger the barrier to entry you have to overcome as the pages with authority cement their ground. These are just a few metrics involved in topical level SEO tactics, yet any one of them magnified through execution is more than enough to make any website a contender. With over 200 metrics that search engines cross-reference to determine which pages are deemed worthy of representing a given keyword or topic, you need to manage as many granular changes as possible with consistency to surpass the less formidable contenders that are vying for the same industry, market share and consumers. Absolutely wonderful article, and I am completely impressed Jeff. Much like older web designs where tables were a trend if not a requirement now find themselves being updated with css. The same can be said for SEO. What used to work for SEO no longer works today. Staying ahead of those algorithm changes and staying ahead of the competition by implementing various strategies is crucial for any SEO. The ‘do it your self’ guides no longer work. Working on various strategic campaigns that in time can overcome even the toughest obstacles is not just essential, but required to get your client ahead of the game. When I first saw the title I expected a rant towards those who do try it themselves. As I read through the article it makes perfect and legitimate sense to what does separate those who are pros and those of whom are amateurs. We often find ourselves looking at two different paths to reach two different goals. 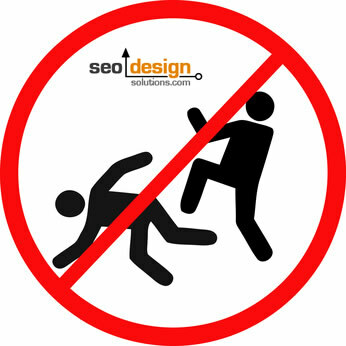 Sometimes SEOs think that getting on the first page is the goal when in fact it is not. It is just one step forward into reaching a ultimate and final goal. There is no point in getting to the first page if results are not there to follow. In other words, the conversion of a visit to a sale. Thanks for the good read Jeff, and I will make sure to follow your blog more closely. With so much misinformation on SEO, people should understand its not just about rankings or price, its about real results. Glad you enjoyed it and appreciate you taking the time to visit. All the best and look forward to more comments from you in the future on other posts to broaden the context of the conversation. Nicely said. Hope to learn well from these while setting up shop in the western suburbs. I strongly agree with the author and want to say more – professional SEOs can improve your site and save time, but when you have bad SEOs you have risk of damage to your site and reputation. Recently I launched my own website. Naively I just assumed you put your site on the web and away you go. 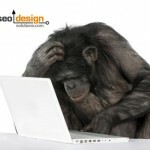 I knew nothing about SEO but I soon learned, it was a case of having to. 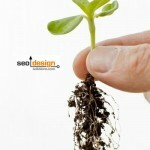 The first month I had no idea really what I was supposed to be doing in getting my site noticed by the search engines. When the penny finally dropped and I came to realize about keywords and especially anchor text key words in blogs and replying to blogs, also I found one of the most important tools is original content on your site, it came quite easily in boosting my page position. Having said that, been stuck in front of a pc 24/7 and this is what it takes, is hard work. When I say original content, I don’t refer to writing about something that nobody else has, as this would be extremely difficult unless you have a new product that only you know about, I mean writing it in your own words. I have spent hours rewriting articles for my site and to publish them later on, which brings me to another point. If you have written anything new regardless of the word count, always publish it to your site first and then wait for the search engines to crawl it. Only then go ahead and publish it to the numerous article and blog sites available. This at times seems like you are waiting around forever but it will pay in the long run and while you are waiting write another. You don’t require a degree in English and to the professional writers who do write for a living in may appear sloppy but you are not aiming the content at them. As long as it is readable and makes sense to the public who are interested in your product then great, plus get your key words that are relevant to your site part of the article. When I started out my site appeared on page 27 of Google and this was out of 60 million results that Google pulled up. Within 10 weeks which does seem lengthy but it soon passes I am now on page 1. My other key words pulled up over 240 million results and I am currently on page 2 for this. I have had no training in SEO and I have not paid for a single thing in terms of links or help from any SEO companies. It is boring and tedious but you just have to stick at it, day in and day out. At first the rewards come slow and there are times when you actually think you aren’t making any ground but after 3-4 weeks I did start to notice my position gradually improving and this then gives you the boost to continue. It’s not rocket science but you do have to be dedicated and to have vast amounts of patience to accomplish your goal. You only get out what you put in and this is just the way of the world. This is exactly why I went into the process of getting your plugin for WordPress. Your information is really up on everything. Just wanted to give your organization its due. 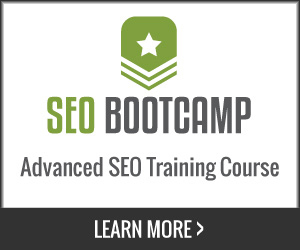 Some folks say seo doesn’t even exist and was invented by google. The truth is that the algorithm is quite secret and can be deducted sometimes. There were many changes during last years and some others are yet to come this one. Finally, you may reach a good internal PageRanking and good rankings on SERPs with little or almost none link building, but only with the quality of site itself.